Daily NHL lineups with advanced stats and insights geared toward all Fanball Main NHL contests. There aren't any games scheduled for today. The date you're trying to load is invalid. You didn't select a daily fantasy site or are trying to view a site that isn't supported. A general technical error occurred. These are typically resolved within a matter of minutes. 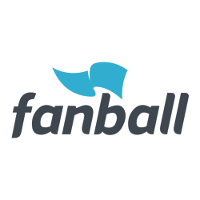 Salary: The cost, against salary cap, to roster a player on Fanball. Projected Fantasy Points: The total fantasy points we predict a player will score on Fanball.